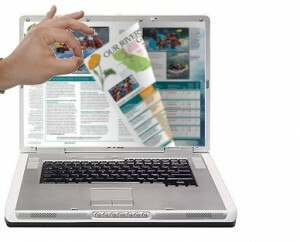 When HTML5 became available, we jumped on the chance to utilize its very flexible capabilities. The result was our being able to create for you a platform that lets us host your publication and make it viewable on all digital devices, without you having to lift a finger or hire a developer. With the Realview platform, all you have to do is send us a PDF of your publication. We then host that PDF on our platform, the Publisher Access Centre (PAC), where we convert it into an HTML5 version that lets your readers view it on any device. Whether you are viewing it on a mobile phone, a tablet or a computer, your publication appears stunningly clear and gives your readers a full interactive experience each time they view it. And all they have to do is click on a link that we help you embed into your website to view each issue. It’s truly that simple. Have a look at some of our top clients’ content to see how easy it is. To learn more about any of our services, visit our Contact page. We are here to assist you 24 hours per day! Was this article helpful? Please let us know your thoughts and questions in the comments section below!